Welcome to our April issue. 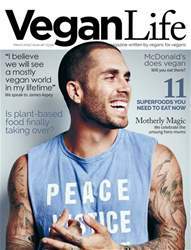 This month we’ve spent a lot of time discussing advocacy at Vegan Life HQ. 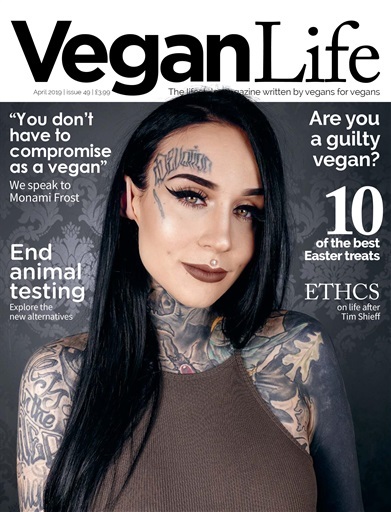 The internet has undeniably had a huge impact on spreading the vegan message and our cover star, Monami Frost, is one person who uses her platform for good. She tells us why vegans don’t have to compromise and shares her top tips for advocating online. We were lucky enough to talk to Rich Hardy, now head of campaigns at Veganuary, who has spent 20 years working undercover to expose animal cruelty — putting himself in risky and potentially dangerous situations to share the stories of so many voiceless animals. It was great to catch up with Bob from ETHCS to see how the departure of Tim Shieff has changed things for the vegan brand. They’re so passionate about making ethical and vegan clothing easy and accessible to buy, and also have some exciting plans coming up. 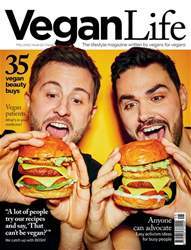 Tony Galuidi has written a thought provoking piece on how to approach advocacy — it sparked a big office debate, so we rolled the question out to our readers — should we be more supportive of those cutting down meat, but not cutting it out? Read what was said. 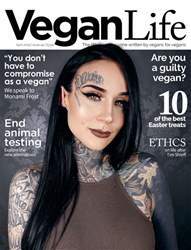 Below is a selection of articles in Vegan Life April 2019.